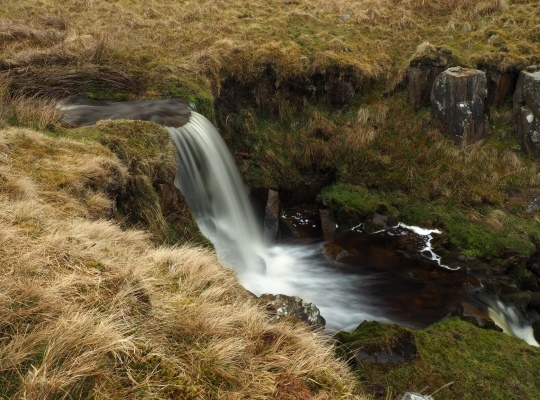 Water Ling Force is a waterfall situated in a rocky cleft on Water Ling Pasture close to Busk Lane as it climbs up on to the moor above Carpley Green. Unlike Burnet Force, which is situated on private land further downstream below Carpley Green, there are no access problems to Water Ling Force. 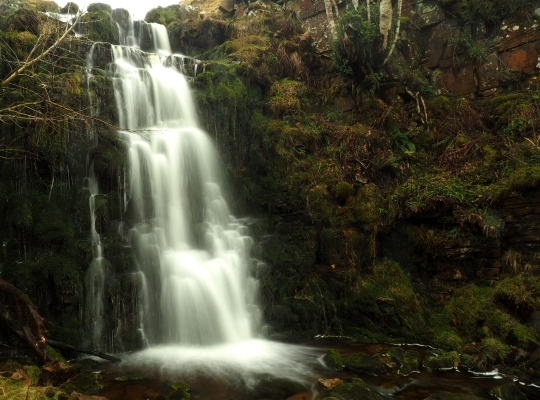 To visit the waterfall simply follow Busk Lane south from Carpley Green and when the wall drops down on the right hand side slant down to the stream and make your way carefully to the waterfall. It is a lovely secluded spot, but one that is also quite open to the elements. When I visited the falls I made use of a handily bench shaped rock to sit out a brief hail shower before taking some photos. There are a couple of more modest waterfalls nearby that are also worth visiting. 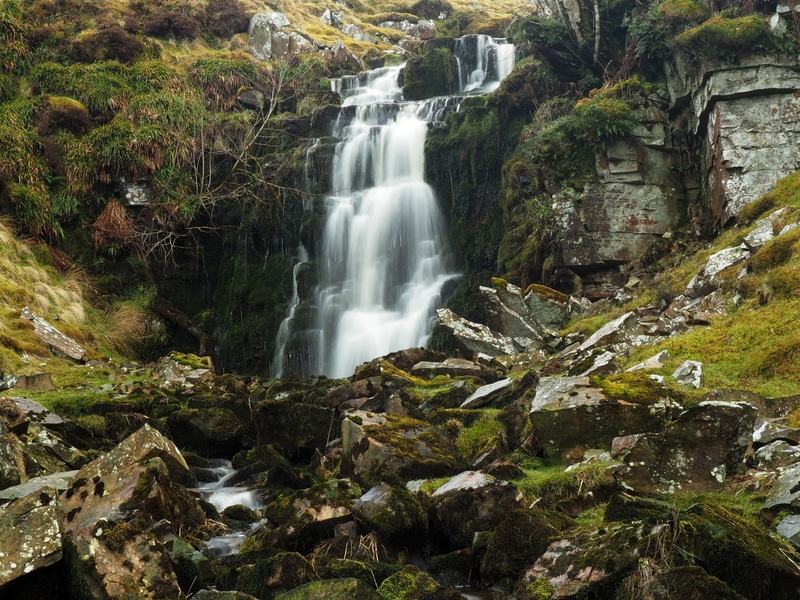 One is just downstream of Water Ling Force and can be visited by carefully climbing over the steep wall alongside the stream to the north. If wall climbing is not your thing a more roundabout alternative is to return to the track and head back to Carpley Green. Go through the first gate on the left and make your way back to the stream. 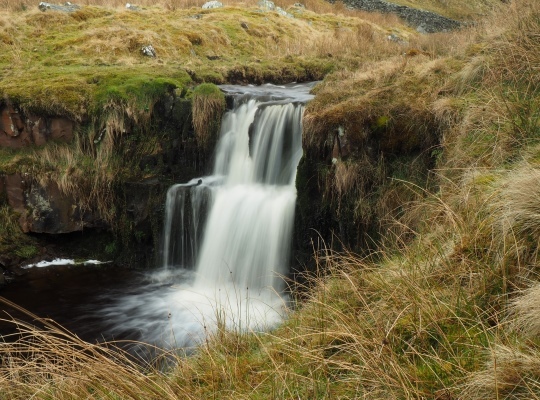 The second waterfall worth visiting, at least after rain, is on the unnamed stream a few hundred feet to the west over pathless moorland. This can be reached easily as it is also in the same pasture as the waterfall below Water Ling Force.